Percy’s half-god, half-mortal – and in a whole load of trouble! See him battle gods and monsters in his first storming mission. (Then read all the rest.) 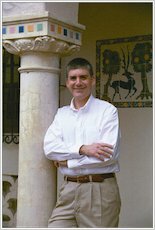 Dyslexic New Yorker Percy Jackson is used to bullies and angry teachers. But when he finds out he’s the son of scary Greek god Poseidon, he goes from playing basketball to battling monsters. Yikes! Now he’s being packed off to Half-Blood Hill, the Long Island camp where the offspring of Greek gods are trained. There’s just one teensy problem. 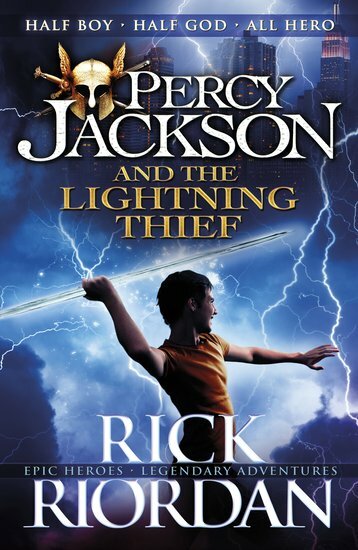 Zeus, the ultra-scary boss god, thinks Percy has stolen his lightning bolt. Now things are going VERY WRONG INDEED. Can Percy find it before a war of the gods erupts?